← “Last Chance” for incarcerated innocent #CrosleyGreen? Nope. Gerald Stano, like scores of others, was framed in Brevard County, FL. Prosecutors John Dean Moxley and Chris White coached jailhouse informant Clarence Zacke to testify falsely against him (and against Wilton Dedge, in an unrelated case). No physical evidence linked emotionally unstable, serial confessor Gerald to any crime, let alone the dozens of homicides that were “cleared” upon his conviction. Gerald was wrongly executed in 1998. @EFMoriarty Thanks for addressing more facets of #CrosleyGreen's Brevard Co, FL #FrameUp. 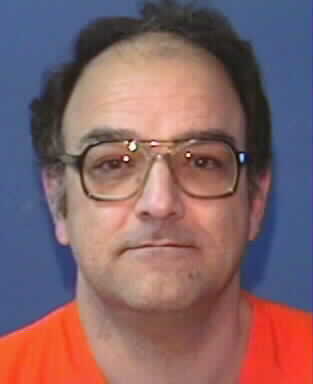 Please #DoubleTap Brevard: exonerate #GeraldStano. I’ve never had more registered hits on my blog than I’ve had surrounding the post I wrote yesterday about Crosley Green’s Brevard County, Florida frame-up (visits to my site via private browsing are only detectable by viewing “most popular posts” stats). That’s why I’m calling upon CBS‘ 48 Hours Erin Moriarity to strike again with additional information on Crosley Green’s frame-up, while the iron is hot. There is no telling how many innocents Brevard has framed aside from Crosley, Juan Ramos, Wilton Dedge and William Dillon, which means there is no telling how many rapists and killers are still on the streets. Certainly, Brevard framed Gerald Stano, Gary Bennett, Jeff Abramowski and likely Monte Adams … and scores more. Use the index of Glenda Carlin Busick’s book Brevard Good Ole Boys to discern the details of financial wrongdoing by some of the players involved in frame-ups. Secure Wilton Dedge’s confirmation that Clarence Zacke testified falsely against him after suspiciously being placed in a transport van with him (Wilton appeared on the 48 Hours segment last night. A comparison of former Brevard prosecutor and judge John Dean Moxley’s months-apart public statements concerning the homicides of Yolanda Garvin Williams and Alissa Blanton … Moxley blamed Ms Williams for her own death for not following through on securing an order of protection; Moxley said his failure to grant Ms Blanton an order of protection wouldn’t have prevented her homicide, that protection orders are just pieces of paper (the search feature on my blog should help). Watch the documentary After Innocence, see prosecutor Chris White in (freaky) full-out theatrical mode, attempting to keep Wilton Dedge’s false conviction intact, despite DNA evidence [http://picamov.com/play.php?movie=tt0436039]. Make a formal request for information of the Florida governor’s office dating back to 2004 concerning my requests of Jeb Bush, Charlie Crist and Rick Scott concerning Brevard frame-ups, including Gerald Stano’s. Ask Bob Graham to personally explain his 80’s investigations – as Florida’s governor – of disgraced dog handlers John Preston and Thomas McGinn (Preston’s “trainer”). Ask Geraldo Rivera to provide a copy of Florida Attorney General Pam Bondi’s on-air (first) campaign promise to investigate all Florida convictions involving dog handler John Preston. Gerald wasn’t the only Florida man to be executed after discredited-six-ways-from-Sunday dog handler John Preston got involved. 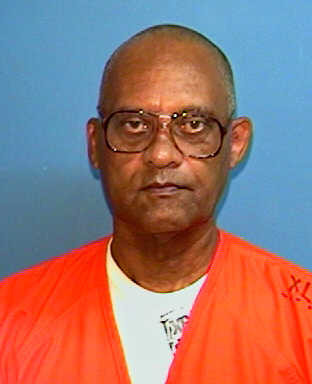 Hapless schizophrenic Linroy Bottoson was convicted in Orange County – which borders Brevard – and was executed in 2002. The FBI participated in Linroy’s case, and that is key – absolutely – to understanding how conviction corruption flourishes. The FBI was involved with a number of DNA-discredited dog handlers, and they won’t own up to it. Their influence is significant … a former agent sits on the Innocence Project of Florida’s board. Bob Graham was on the Senate Intelligence Oversight Committee in 2002 (he served 10 years there), and did nothing that I’m aware of to address the FBI’s scandalous embrace of phony forensic experts. He certainly didn’t save Gerald’s life. Or Linroy’s. Erin Moriarity’s 48 Hours segment [https://www.cbsnews.com/videos/last-chance-for-freedom-2/] was compelling enough to perhaps secure Crosley Green’s freedom, but it wasn’t compelling enough to go the distance and free the other innocents. That requires an immediate second strike; a Double Tap. I hope that CBS will allot Ms Moriarity the resources and time it’ll take to blow Brevard’s corruption apart – every bit of it – once and for all. Linroy Bottoson, hopelessly mentally ill, was convicted using oft-disgraced dog handler John Preston in Orange County, Brevard’s neighbor, and executed in 2002. The FBI had participated in his case, and used a number of DNA-disgraced dog handlers nationwide, which they have yet to admit to it, although former FL legislator/Governor/US Senator Bob Graham was in a position to have them do so while he served in Senate Intelligence oversight for 10 years. This entry was posted in Uncategorized and tagged 48 Hours, Bob Graham, Brevard County, Charlie Crist, Chris White, Erin Moriarity, Gary Bennett, Gerald Stano, James Russo, Jeb Bush, Jeff Abramowski, Jeff Ashton, John Dean Moxley, Lawson Lamar, Linroy Bottoson, Michael Hunt, Monte Adams, Norm Wolfinger, Orange County, Osceola County, Paul Crow, Phil Williams, Preston Silvernail, Rick Scott, Rob Parker, Robert Egan, Seminole County, W David Dugan, Wayne Ivey, William Dillon, Wilton Dedge. Bookmark the permalink.